Even though the carefree days of summer are a thing of the past, our memory of the excitement of all the various summer activities lives on! As we all start to bundle up, sip our delicious PSL and enjoy the crispness of the air, we want to take a quick trip back to one of the highlights of our summer: Camp Wild 2015. 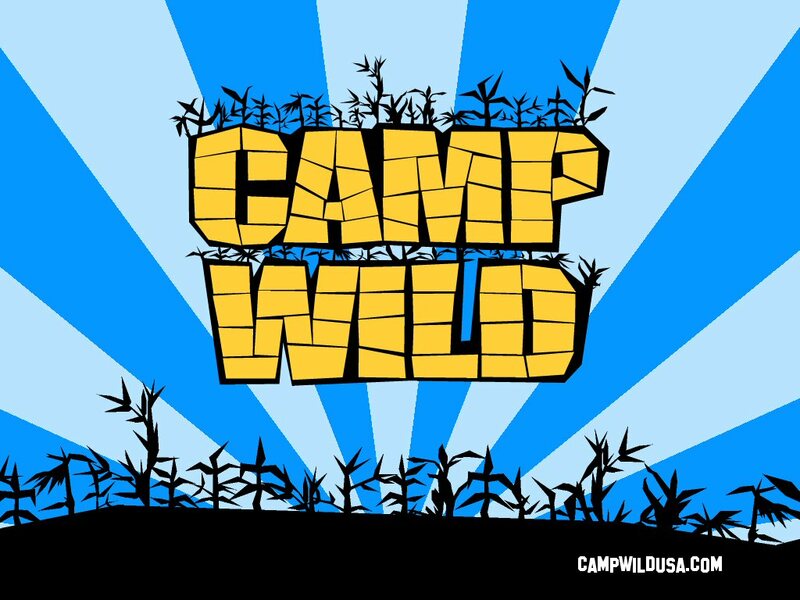 In case you’re not familiar with what Camp Wild is, let’s get you up to speed. Every summer Wildside Youth Ministries at The Hope Center hosts four unbelievably fun weeks of camp for kids in Hagerstown. This camp is free for any kid between the ages of 5 -12 and we even provide complimentary transportation to kids living in certain parts of the city. While at Camp Wild, the kids are given an assortment of activities to be a part of. From singing, to group games, hiking, art projects, interactive Bible lessons, hands-on educational activities, swimming, and more, the campers are not lacking for excitement each day. Since Camp Wild is a free ministry to the kids of Hagerstown, we rely on the generous support of donors and volunteers to make each summer possible for our campers. We’re so thankful to say that since the 1970’s our summer camp programs, Conoco Camp/Camp Wild, have been blessed by God and He has provided the necessary funds, volunteers and resources to reach hundreds of kids for Christ! Thank you to everyone who has been a part of our summer camp outreach programs in the past. Camp Wild 2015 was an amazing summer of ministry. God proved Himself faithful by providing over and over again in the areas of drivers, counselors, donations, and plenty of campers. We ministered to 228 children, sharing with them the message of Jesus’ love and salvation. Churches like Tri-State Fellowship, Faith Christian Fellowship, Maranatha Brethren Church, and Grace Point Community Church came along side us in the ministry. A truly fantastic summer. This summer’s lesson series focused on our core-value of relationships. In today’s culture there is a big need in understanding how to cultivate and maintain healthy, pure relationships. We wanted to use our lesson time to help children learn some great truths from the Bible about how we connect and bond with others. We began by explaining and defining a relationship. We learned through the Bible that we are to do our best to live in peace with everyone. This means that living in peace is a key to having good relationships with others. Fighting hurts relationships, but peace leads to life. After defining relationships we moved on to talking about the most important relationship of all, the one we have with Jesus Christ. Campers learned that we need to stop trying to live life our own way but start living life Jesus’ way. Our Bible verse for the day focused on how when we were God’s enemies He made peace with us through the death of Jesus. Next, we moved on to talking about relationships with friends and family. Campers learned how it is necessary to have balance in relationships, to ask for forgiveness when needed, and to always forgive others as Christ forgave us. They learned the key to having good relationships with parents comes from God’s command that children are to obey their parents in all things because this pleases Him. We spent some time talking about a negative relationship- enemies. We all have relationships that require hard work. In this lesson we talked about loving enemies and praying for those who hurt us, just like Jesus did when He sacrificed Himself for us. The week concluded with learning how having successful relationships will lead to having a successful life. The Bible commands us to encourage one another and give each other strength. Nothing in life is a complete solo task, we depend on others and others depend on us. Because of this, our lives and dreams need to be centered around Jesus and serving the needs of others. This year saw the re-opening of our Africa park. We went back to the roots of camp and gave our African-themed area a complete facelift and overhaul. This involved both major and minor renovations, a new attraction, lots of paint, and tons of flags. Part of the transformation process began in 2012 by opening GPS, God’s Preaching System, in what was to become the Habari Jungle. This was the first part of a three-year strategy to consolidate our existing African attractions to one area of the campground while opening the Latin America and Asia parks. In 2013 we moved The Dig and Sanaa into their permanent spots. This year we added new signs to the camp, new exhibits, new buildings, and lots of details to really make campers feel like they have traveled into the heart of Africa. We added lots of decorative elements to the camp, repainted some old signs, and added new cultural elements all around the African park to enhance the camper’s experience. In an effort to celebrate the diversity of God’s creation among cultures, we added in 45 flag poles. These were used to display flags from African countries. One area we were very excited to open was Zulu! Campers traveled to South Africa to train how to be a Zulu warrior. The word Zulu means “people of Heaven’. Here camper’s learned about the armor of God, King Shaka Zulu, and the culture of the Zulu nation. Camper’s got to shoot bow and arrow, practice dodging splash balls with a shield, and learn how to toss a spear. Each activity took place in brightly painted, African gazebos. Our new activity center was complete with an 8-foot display of the armor of God, real spears, an authentic cowhide shield, and a six-foot tall mannequin dressed as King Shaka. We also included a life-size elephant skull replica, as well as replicas of zebra and leopard skins. After being closed for two years, we re-opened the Kijiji Expedition. This summer we shortened the trail, condensed the activity centers, and refurbished some displays to give them longevity. Arnold Horst and the S.W.A.T. team (Senior Worker Attack Team) completely transformed our temple area to include nice thick plywood walls and a sheet-metal roof. We created a new meerkat mound using Styrofoam and cement, as well as covering our existing termite mound in cement. We also added a back wall to one of our bamboo huts, really giving the campers the illusion that they had stepped into someone’s house in the jungle. Kids traveled to Senegal to visit two active learning centers. First up is the return of GPS. This year we made GPS, our missionary zone, into a word scavenger hunt. Campers would work in their Small Groups to figure out clues related to each of our Senegal cultural signs. At the end of the activity, all the kids reviewed things together and learned how they could be missionaries at home. The second active learning center is Matu. We reopened this attraction after a year hiatus and put it in the middle of the GPS trail loop. Here at Matu campers learn about the creation of the world, the anatomy of a seed, Senegal’s exotic animals, the life cycle of a plant, and even take home a plant pot of their own. The goal of this hands-on learning center is to educate and celebrate God’s marvelous creation! At the Sanaa Trail, camper’s got to express their creativity and reflect their Creator God by making some different forms of art. This summer campers were able to make safari ornaments and color their own tribal masks. The Dig is one of the camper’s favorite attractions. This archaeological dig simulator teaches campers the purpose of learning other cultures and the excitement of finding buried treasures. We always teach campers that you must also dig into the Word of God to find the true treasure of Jesus Christ and eternal salvation. In an effort to make the best use of space, we placed the Matu attraction inside the loop created by GPS. We wanted to have a building erected that would serve as a jungle base for the kids to play in. Here the campers can look at animal replicas, play on a chalkboard, learn about God’s creation, and take a break from the sun’s heat. After camp ends, we utilize this space as storage for displays, tables, and most of our Africa décor. Having this new storage shed greatly reduced our clean up time this year while freeing up storage space at the office. The majority of the materials were donated by Mike & Bre Black and the construction was done by Arnold Horst and his crew. This summer we introduced two new levels of staffing into Camp Wild. The first group is called Shepherds. These counselors were the ones who led the daily small group discussions with the campers. They were available if any campers had questions of a spiritual nature or need prayer. The second group added was the Student Trainee. These were older campers who had been appointed by the Director or Assistant Directors to pitch in to help out with small tasks where and when needed. Although Student Trainees did not have authority over other campers they proved to be a big asset in having a successful summer of camp. As camp moves forward, we hope to continue finding ways to better serve our faithful counselors. Equipping them better, giving them more training and encouragement has been invaluable in improving the quality and effectiveness of camp ministry. Thank you to everyone who has donated of their time, talent, and treasure to make Camp Wild a success. Every year I am encouraged by the generosity of God‘s people, amazed at God’s faithfulness, and grateful for all everyone who cares about the campers and has sacrificed in order to give them a summer they’ll never forget! To learn more about Camp Wild, including seeing more pictures from 2015, go to http://www.campwildusa.com. Even though Camp Wild is over, the fun of Wildside isn’t! Our youth ministry hosts activities all year long! Go to http://www.wildsideyouth.com to learn more about our youth ministry program and all the activities Wildside has planned in the upcoming months. Want to be a part of the action? We’re always looking for volunteers to help at Wildside and our other ministries at The Hope Center. Go to http://www.volunteerhagerstown.com to see all the various opportunities we have for you to get involved. Maybe you don’t have the time to commit to volunteering but you really want to become a financial partner of The Hope Center. If this is you then don’t wait any longer to get in touch with us! We’re always thankful for our donors who help to fund all of our programs to the people in our community. Since we do not receive any tax money or government funding, we operate completely on the generosity of our faithful donors and Thrift Store patrons. Call 301.739.1165 or email hagerstownrescue@verizon.net to talk to somone about financially supporting this ministry.